Elizabeth “Betty” Adams Metzler, age 88, of Seaford, DE passed away peacefully on January 10, 2019. Betty was born in Marblehead, Massachusetts on July 25, 1930, the daughter of the late Robert Parker Adams and Lydia Hall Dunlap Adams. In addition to her parents she was also preceded in death by her brother, Robert Adams, her sister, Lydia Pearson and her companion, Ross Lewis. 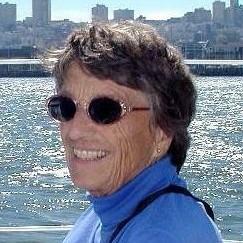 She grew up in Marblehead and enjoyed sailing and skiing. She received an Education degree from Smith College, a Masters of Education degree from Temple University and a Masters of Community Counseling degree from Wilmington College. She enjoyed being active outdoors and traveling to see new places throughout her life. In her 40s she took up white water kayaking and slalom racing. She had been a member of the Philadelphia Canoe Club and the secretary for the American Canoe Association. Betty was an active member of the Unitarian Universalist Church in Lewes, DE. She received the Clara Barton award. The Clara Barton Sisterhood was created to honor women aged 80 and over for their contributions to their congregations and communities. Betty worked as a counselor for many years and was an active volunteer. She is survived by her sons, John Metzler (Linda) and David Metzler (Mary Beth), grandchildren, Kristen Beltakis (Eric), Danielle Salley (Willard), Jennifer Metzler, nieces, Tami Dawe, Kim Pearson (Al) and Chuck Pearson, great-grandchildren, Genevieve, Sophia and David as well as her grand-nephews and great-grand-nephews. A Memorial Service will be conducted on February 16th at 10:00 AM at the Unitarian Universalists Church of Southern Delaware, 34086 Lewes Georgetown Highway, Lewes, Delaware. Another service will be held at the Manor House in Seaford on February 15th at 2:30 PM for Manor House residents. In lieu of flowers, please consider a donation to the American Cancer Society or Vitas Hospice, 30265 Commerce Dr, Suite 202, Millsboro, DE 19966 in memory of Elizabeth Metzler.